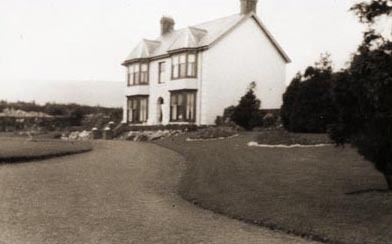 This very well known Hirwaun family originally lived in ‘Angorfa’ at the top of Cynon Terrace before moving to Maesyffrwd House, which was previously occupied by Dr. I. Thomas and family. The family consisted of Mr. Richard Johnson (father) and Mrs. Dorcus Johnson (mother). Sons Morgan, David, Evan, Richard, William and Thomas. Daughters Annie, Eva, Lena and Rebecca. (Rebecca died very young whilst still attending Hirwaun Junior School). The grounds and gardens of the house were immaculately attended and the family sold their flowers and vegetables to the local public for many years. Thomas and William also were well known local Postmen. 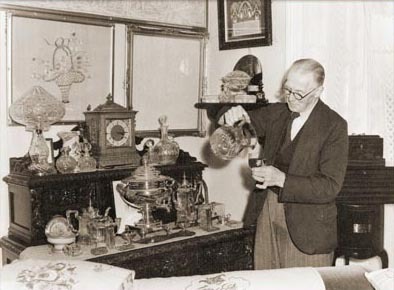 Great collectors of antiques, and especially clocks, a programme on T.W.T.’s “Here Today” with Joseph Cooper and “South Wales Echo” Yvonne Thomas in October 1961 featuring Mr. T. Johnson, showed all their treasures and was very well received. The family’s dedication to St. Lleurwg’s Church was evident in their devotion to all aspects of church life. Annie and Morgan became Sunday school teachers, Thomas was the church organist for many years, and Annie , who won many prizes for her needlework, made many items of delicate craftsmanship for the church. 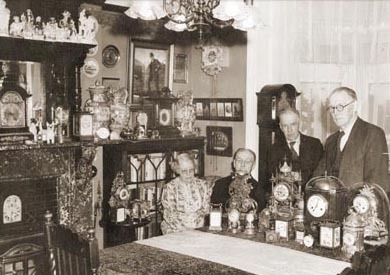 Their tangible devotion was shown through the beautiful items donated to the church over the years.